This article is brought to you by Adobe Document Cloud. I remember when I never traveled. Or, rather, I remember when I travelled in the very 90s American sitcom way, which is to say I remember when we piled into my parents’ car and drove somewhere just near enough to not feel exotic, but just far enough to make for a terrible ride up with my little sister beside me in the backseat. (I also remember when they intentionally changed out their practical four-door sedan for two compact, two-door sports cars in the middle of my childhood, whose unbelievably cramped backseats on those seven-hour drives led to a lifetime fear of confined spaces.) I remember when “traveling” meant a rare, exciting, yet ultimately deeply familiar jaunt to Long Island, or Texas, or Georgia, or one of the many places aunts and uncles and cousins resided. I remember when money was very tight, and therefore “travel” was something that happened very rarely, and in very confined terms. And now, I travel constantly. My work frequently takes me out of my city, even across the country. Travel has become an integrated, obvious part of my life, and all of the attendant, superficial markers of that life have come with it. My passport accumulates stamps. I have become strangely good at packing a carry-on. I know which terminals of which New York City airports have the best food, or the shortest lines, or the nicest gates. And while this does on some level still feel impossibly fancy and grown-up to me, it would be dishonest not to specify that, as most of my travel is still for professional reasons, the actual reality of it is not so romantic. Over the past few years, I’ve spent literally under 24 hours in certain cities, touching down just to do a day of work and then immediately hop on the first flight to the next destination. I have spent entire trips alternating between stark hotel rooms and corporate office buildings, or never leaving the sprawling reaches of a conference complex. I have learned what it means to travel without really seeing, without really even existing in the place your trip may have taken you. And I’ve also learned what it means to integrate travel into your day-to-day life in a way that does not disrupt your work, or slow any number of goals you may be juggling which have nothing to do with the travel at hand. I have learned the truths which only come from traveling for work — profoundly different than travel for any other reason — and learned how to integrate them into my life beyond just the times I am sipping my bloody mary at 30,000 feet while practicing a presentation. And these are the three biggest of those truths. 1. You’re only as good as the tools you have. 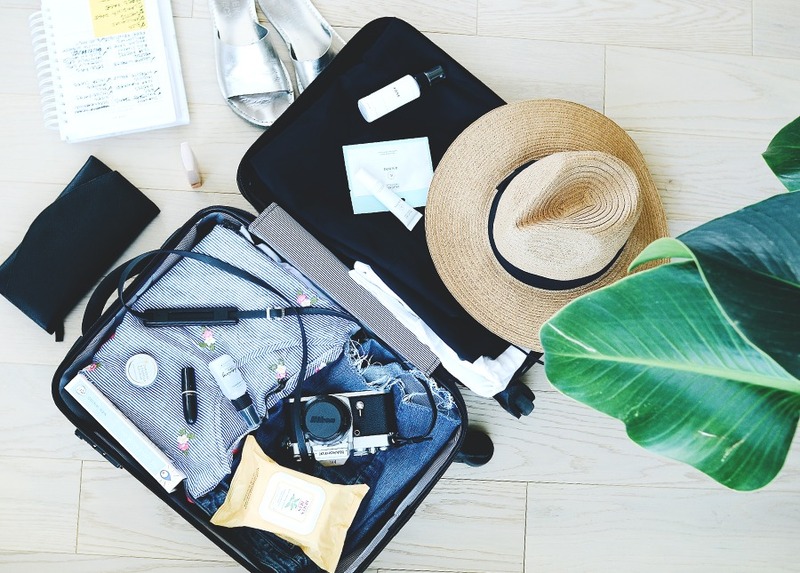 One thing that is particularly true about travel for work specifically — but which can extend into every area of your life — is that you have a maximal amount of things to accomplish, and it’s up to you to make sure they get done. In the case of, say, going to a conference, you have get from one place to the other, eat, go to meetings and presentations and such, network, maybe get a workout in, enjoy the city to some extent, and somehow actually do your day-to-day work. And in this regard, there is nothing more crucial than having all the right tools. As some of you may know, I am a rigorous maker of pre-travel spreadsheets, my Google calendar is always broken down nearly to the minute so I can fully anticipate each day, I tend to pack well in advance (including assembling my plane outfit on a separate hanger), I bring a big enough plane purse for my laptop, phone, charger, notebook, and a reading book, plus I make sure to triple check when packing for all crucial items (which are also in my spreadsheet, of course). But beyond those elements, having an app that allows work to be clean, easy-to-manage, and organized is particularly crucial. And the TFD team loves using Adobe Scan to keep us sane while on the road — everything from the receipts I would otherwise forget to keep (sorry, Annie! ), to the letters that come to the office mail while one of us is out of town but needs to see it, are suddenly no longer a hassle. Adobe Scan is a free app that lets you take pictures of documents with your phone and instantly turn them into editable PDFs. Receipts, bills, doctor’s forms, work documents, applications — everything that you can imagine that you would want to quickly and seamlessly turn from paper to digital can be instantly changed with a snap of your phone’s camera. Don’t let the feeling of being cut off from your work prevent you from taking advantage of travel, and start seamlessly organizing and sending your documents today, with the totally-free Adobe Scan. 2. It’s up to you to decide to be present. Simply put, particularly when it comes to travel for work, I have become an obsessive note-taker. I write in little journals, I record notes in my phone’s recorder app like some sad man writing his novel, I use my notepad app religiously, I even have been known to make the occasional sticky note (which is then placed on my laptop or bedroom mirror). I write down or record everything, very much including the things that have nothing to do with work. I am someone who has always been very greedy about joy and sensory pleasure — I plan out every element of an activity and look at each part of making it happen as a separate, discrete unit of joy — but I have become even more hyper-aware of what I’m doing while traveling for work. And it is through this that I am able to get my work done more effectively, because I no longer feel that the travel is a giant, swirling, amorphous thing I should be paying attention to. I force myself to be actively, attentively present in my travel, which means that when I am back in my hotel room, I am able to fully throw myself into what needs to be done without guilt or distraction. 3. Decide what is joyful about things, and lean into them. Here’s the truth: in life, but particularly in work travel, there is going to be a lot of stuff you do that you don’t necessarily love. And many of the activities you’re not overly thrilled about are going to take a long time, or feel like they dominate your day in some more vague, emotional way. And there’s no getting around that. But one thing I have learned from these frequent situations in which the travel I’m doing is not necessarily the travel I would have chosen is that there is joy to be found in every task (insert Julie Andrews voice here). Being methodical and considered about hanging up my clothes in the little hotel closet and arranging my toiletries neatly on the bathroom counter can be soothing and ritualistic. Making a point to have at least one nice solo lunch or even breakfast with a good book in a local restaurant or cafe is a perfect way to escape and to feel present. Setting mini-challenges for yourself during an otherwise-boring event (like seeing how many actually-useful takeaways you can write down from a dull presentation) turns it into a little game. Even reminding yourself frequently that, in the grander scheme of things, you are quite lucky to be traveling for work is a good way to find the joy in the actual doing of it. The point is, embracing each element of these things you must do with vigor and enthusiasm, and choosing to lean into the parts of it that bring you joy, are the only ways to ensure that your life (and, yes, even the work travel bits of it) aren’t just a matter of getting past one thing in order to get to another. Each moment should be appreciated, and it’s up to us to learn how to do that. Even when we are going to a 7 AM breakfast in a hotel ballroom. Don’t forget to check out Adobe Scan and Adobe Acrobat Reader!